It may be a surprise to learn that Val’s originated as a small diner in 1945, which gradually changed direction and focus due to the high demand for sporting goods and screen printing services. 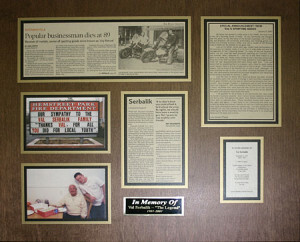 We are proud to be still family run and operated after three generations. 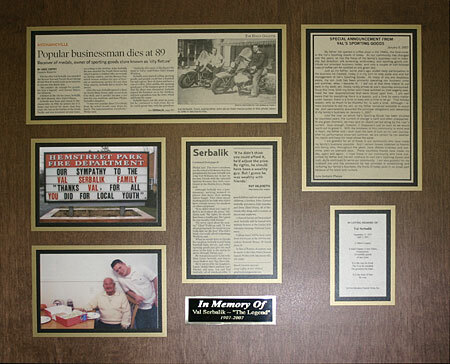 The store was established and operated by Josh’s grandfather and mentor, Val, and then taken over by Josh’s mother, June, who paved the way for our continued success. We not only pride ourselves on our rich history, but are grateful and proud to have such a professional and hard working staff who we consider family. Visit our Facebook page for current specials and promotions. Phone (518) 664-2441 Email 42 Hudson Avenue, Mechanicville, New York 12118 Come and visit us soon at our brand new location! © 2019 Val's Sporting Goods, Mechanicville NY. All rights reserved. Val's Sporting Goods.